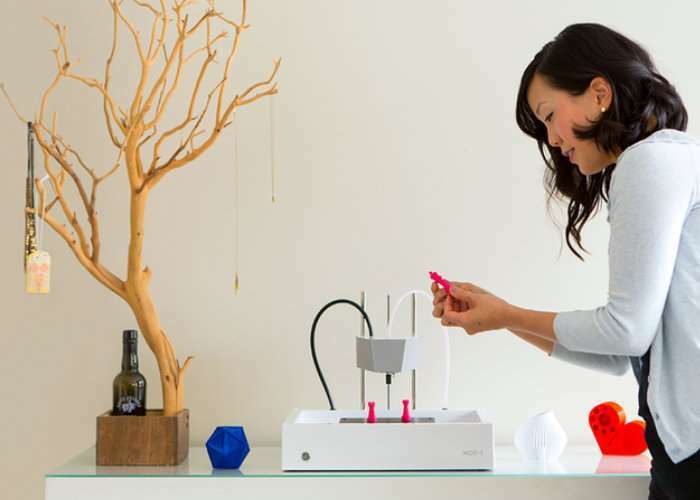 The team of developers and designers at New Matter have unveiled their second-generation 3D printer the New Matter MOD-t 3D Printer, designed to make 3D printing objects even easier. The New Matter MOD-t 3D printer builds on the technology incorporated in the first, and is now 30 percent faster, 50 percent quieter and is now fitted with a Wi-Fi signal that is twice as strong as the original. Watch the demonstration video below to learn more. The next generation MOD-t builds on that foundation by delivering the industry’s best user experience, latest technology, and exceptional print quality. No other desktop 3D printer in the world provides the MOD-t (2nd Gen)’s unique combination of ease of use, performance, and elegant design. The 3D Printer for Everyone. With your help, the MOD-t (2nd Gen) will carry forward our vision of affordable and reliable 3D printing for all and with it, help the next generation of critical thinkers and problem solvers bridge the divide between the digital and physical worlds.